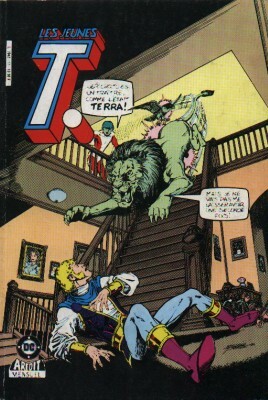 Série VF : Les Jeunes T.
→ New Teen Titans (1°) #19 (05/82) The Light Fantastic! 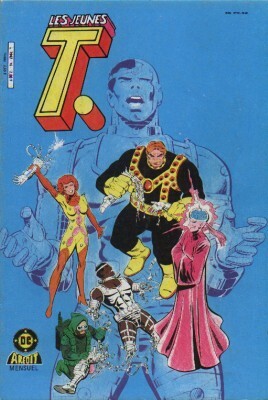 → New Teen Titans (1°) #21 (1) (07/82) Beware The Wrath Of... Brother Blood! → Action Comics (1°) #534 (1) (08/82) Superman - Two For The Death Of One! 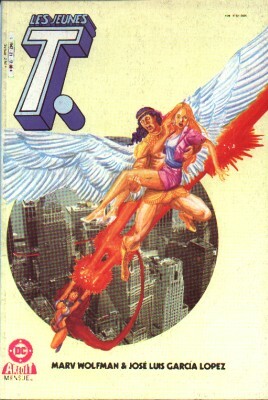 → New Teen Titans (1°) #22 (08/82) Ashes To Ashes! 2/ Superman - Entrée des Omega Men ! 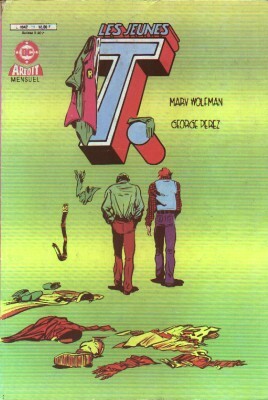 → Action Comics (1°) #535 (1) (09/82) Superman - Enter... The Omega Men! 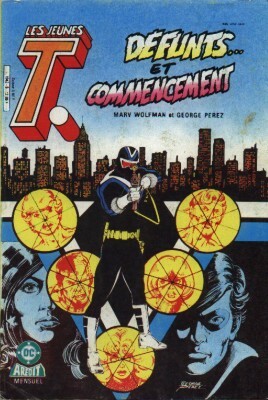 → New Teen Titans (1°) #23 (09/82) Kidnapped! 4/ Superman - Bataille sous la terre ! → Action Comics (1°) #536 (1) (10/82) Superman - Battle Beneath The Earth! → New Teen Titans (1°) #24 (10/82) Citadel Strike! 2/ Les Jeunes Titans - La citadelle frappe - 2° partie : La guerre ! → New Teen Titans (1°) #25 (11/82) War! 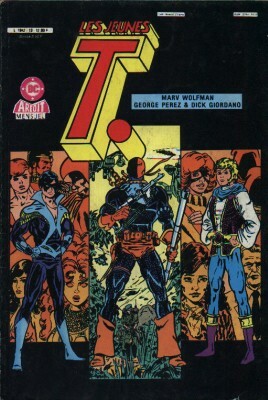 → New Teen Titans (1°) #29 (03/83) First Blood! 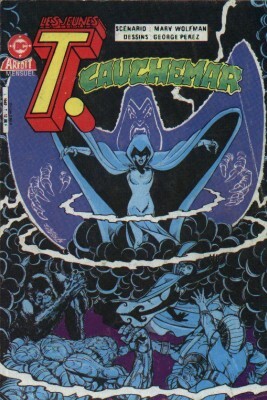 → New Teen Titans (1°) #30 (04/83) Nightmare! 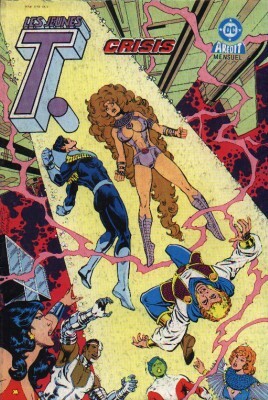 → New Teen Titans (1°) #32 (06/83) Thunder And Lightning! 3/ Qui a tué Trident ? 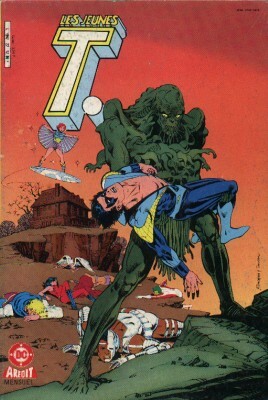 → New Teen Titans (1°) #33 (07/83) Who Killed Trident? 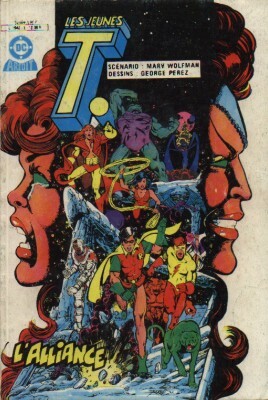 → New Teen Titans (1°) #34 (08/83) Endings... And Beginnings! 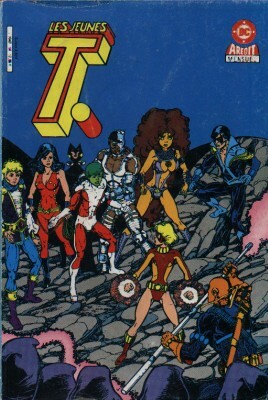 → New Teen Titans (1°) #35 (09/83) Siege! → New Teen Titans (1°) #36 (10/83) Feedback! → New Teen Titans (1°) #37 (11/83) Lights Out, Everyone! 3/ Les Jeunes Titans - Qui est Donna Troy? 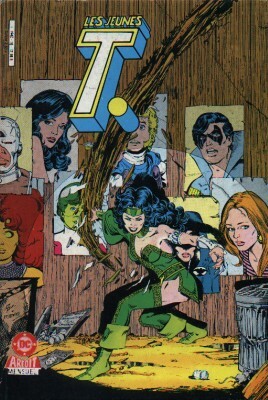 → New Teen Titans (1°) #38 (12/83) Who Is Donna Troy? 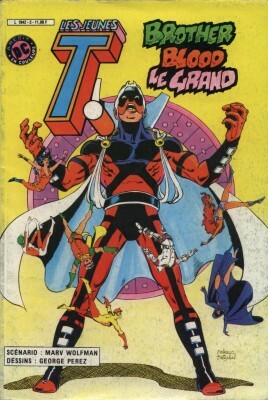 → New Teen Titans (1°) #40 (02/84) Lifeblood! 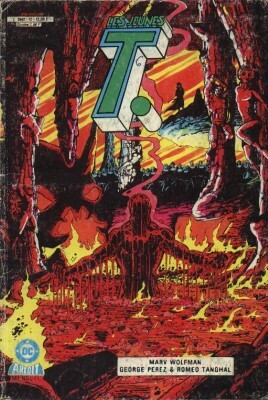 → Tales Of The Teen Titans #41 (04/84) Baptism Of Blood! 1/ Les Jeunes Titans - Le contrat de Judas, 1ère partie : Les yeux de Tara Markov ! 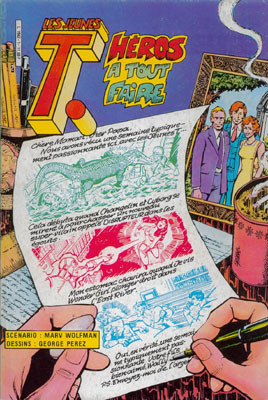 → Tales Of The Teen Titans #42 (05/84) The Judas Contract Book 1 : The Eyes Of Tara Markov! 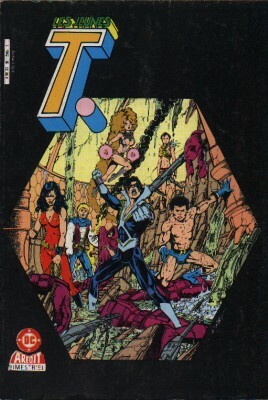 → Tales Of The Teen Titans #43 (06/84) The Judas Contract Book 2 : Betrayal! → Tales Of The Teen Titans #45 (08/84) H.I.V.E. 2/ Les Jeunes T. - Le nid de serpents ! - 2° partie : Règlement de comptes ! → Tales Of The Teen Titans #46 (09/84) Showdown! 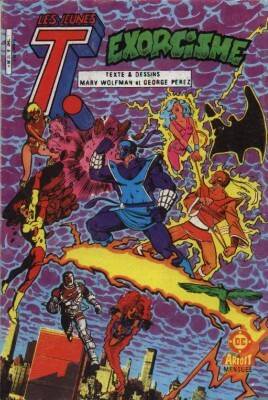 → Tales Of The Teen Titans #47 (10/84) Final Conflict ! 1/ Les Jeunes Titans - Que la fête commence ! 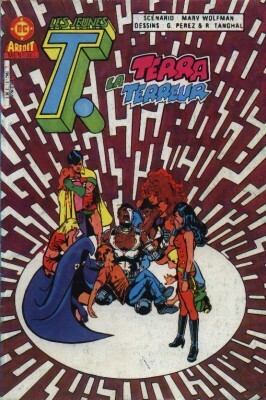 → Tales Of The Teen Titans #51 (03/85) The Jericho Imbroglio! → Tales Of The Teen Titans #53 (05/85) Devil On The Wing! 3/ Les Jeunes Titans - Que justice soit faite ! → Tales Of The Teen Titans #54 (06/85) Blind Justice! 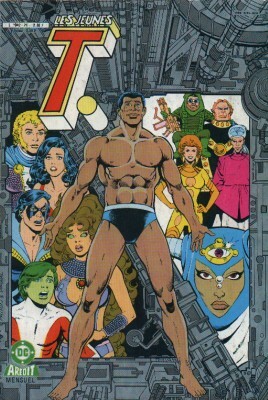 → Tales Of The Teen Titans #55 (07/85) Shades Of Gray! 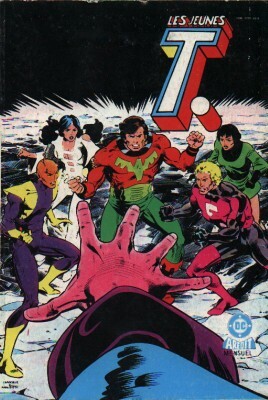 → Tales Of The Teen Titans #56 (08/85) Fearsome Five Minus One! 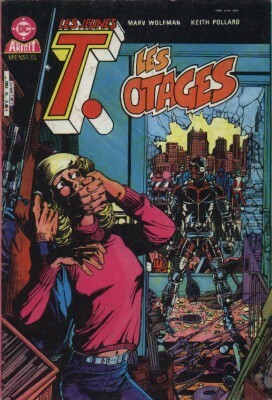 → Green Lantern (2°) #132 (1) (09/80) Sabotage Sinister! 3/ Les Jeunes Titans - Réunion ! → Atari Force (2°) #16 (2) (04/85) Pakrat - Rat Trap! → Atari Force (2°) #17 (2) (05/85) Pakrat - Rats Like Us! 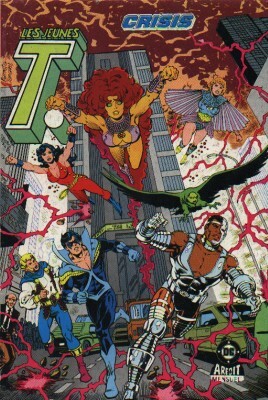 → New Teen Titans (2°) #6 (03/85) Titansmania! 2/ L'origine de Lilith ! 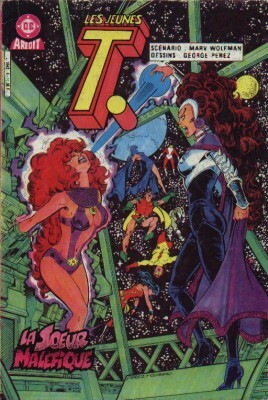 → New Teen Titans (2°) #7 (04/85) The Origin Of Lilith! 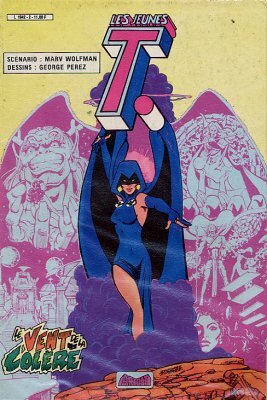 → New Teen Titans (2°) #9 (06/85) Crystal Nightmare! 5/ Les Jeunes Titans / Starfire - 2ème partie : La liberté viendra ! → Teen Titans Spotlight #2 (09/86) Starfire - Black And White Conclusion! → New Teen Titans (2°) #15 (1) (12/85) This Road To War! 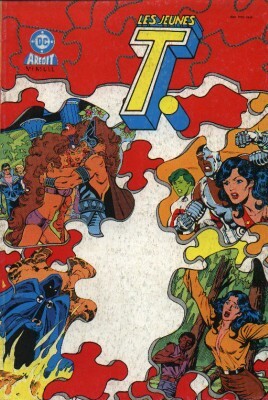 → New Teen Titans (2°) #17 (02/86) For Better... For Worse!